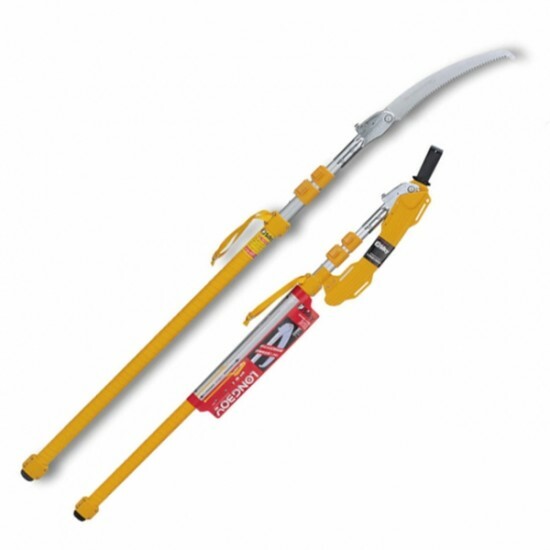 The LONGBOY Folding Pole Saw is a compact 1.45m when stored but reaches to 3.6m when fully extended, making it ideal for pruning and trimming a wide range of trees. The LONGBOY pole is more robust, and therefore more rigid, than its close relative the ZUBAT pole. A cushion tip handle helps to reduce pole damage. When not in use the 360mm blade, with 7 teeth per 30mm, is protected by a sheath which clips neatly onto the pole. This folding blade allows the whole saw to fit into a small space - such as the boot of a car.